What is a must have for a family gathering or a game night with friends? 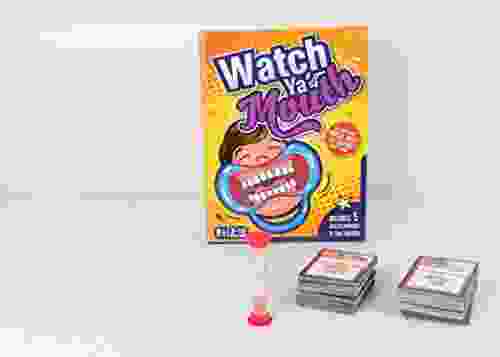 No doubt, funny card game will bring happy playtime together. Enjoyable moments turn into lasting memories. We have something special to offer you. 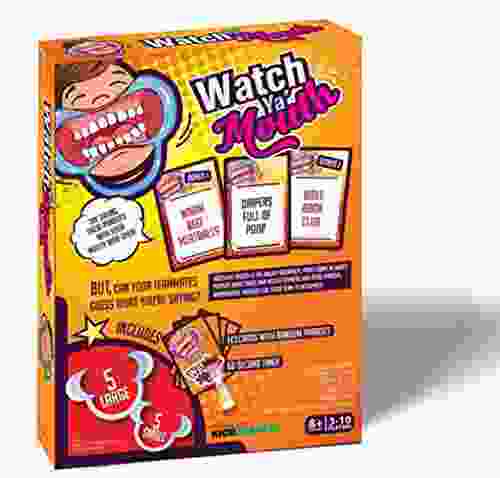 It is Watch Ya’ Mouth card game, super famous, award winning and top selling party board game. Here you get Family Edition, which is appropriate both for adults and for kids from 8 years old and up. Are you ready for laugh to a good cry? Looking for a tool to complete your unforgettable evening of laughter? This is a great idea for you! Furthermore, the game can be a cute gift for families and friends. Give them an opportunity to experience bright emotions in the company of close people! 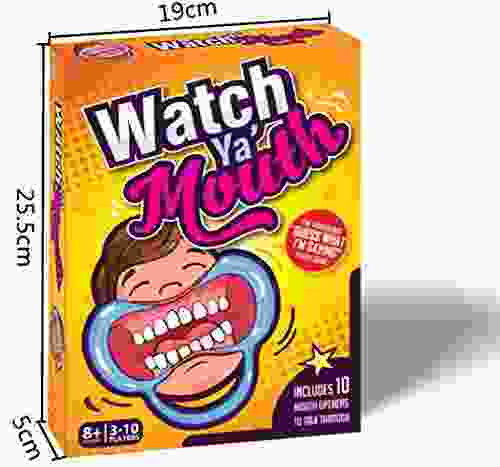 What is the secret to Watch Ya’ Mouth card game popularity? The rules of the game are very simple! Just read the phrases on the cards and try everybody around to understand you. But there is one particular detail: every player get a cheek retractor that makes it more difficult to spell the words clearly. Lots of fun for all ages players guaranteed! There are 10 retractors in the set: 6 bigger ones for adults and 4 smaller ones for younger players. Go through the phrases and enjoy your perfect family evening! The game is perfect for 3-10 participants. It contains 143 family friendly phrases. If some phrases appear to be difficult for a kid to speak out, just skip them. The cards are full color, thick and laminated for family fun and durability. Mouthpieces are made of CE certified, food quality plastic. They are sturdy and easy to clean. Don’t worry they break with regular use. Clean them in dishwasher or sterilize in boiling water.